Why to Use Dandruff Shampoo as Acne Treatment / Facial Cleanser? If you take a close look at the labels of various dandruff shampoos available in the market, you will find that most of them contain one or two active ingredients like ketoconazole, zinc pyrithione, selenium sulfide, etc., which serve the purposes of fungicides. They act on the fungus p.ovale and p.acne responsible for dandruff and acne respectively. As a result, the issue gets solved from the root. There are certain skin conditions like psoriasis, folliculitis, etc., which are actually caused by dandruff but are usually misdiagnosed as acne or breakouts. People, who are suffering from these conditions, can get rid of dandruff by using specific shampoos. It kills the fungi, keeps the pores cleaned and helps the follicles develop normally, thereby improving the condition of the skin significantly. How to Use Dandruff Shampoo as Acne Treatment / Facial Cleanser? Take a dime-sized amount of dandruff shampoo on your palm and use it in a gentle manner to cleanse your face nicely. Do it only once a day and let your skin to get accustomed with the product slowly. Once you feel comfortable with the application of the shampoo as your face cleanser, increase the frequency of usage gradually. It can be used maximum 3 to 4 times a day on your skin depending upon the severity of your skin condition. Not all breakouts are acne. 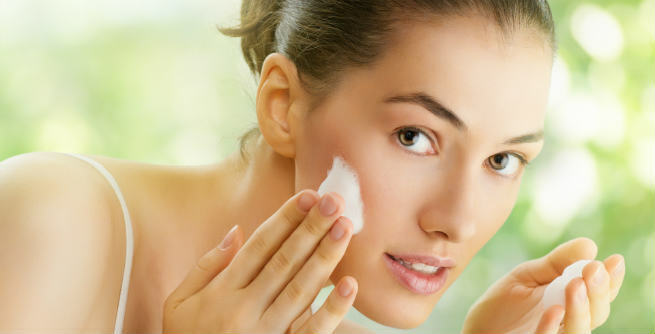 Even there are quite a few types of acne and not all of them are cured by dandruff shampoo. So, it is necessary to find out the nature of your breakouts and treat them accordingly. Not all acne are caused by dandruff. If there are other reasons behind those ugly skin eruptions, get in touch with an expert and diagnose them properly. It will help you know whether the dandruff shampoo will work for you or not. Not all dandruff shampoos are equally effective in cleansing skin or treating acne. It depends on the ingredients present in the products and their working procedures. So in the end, the results may vary to a great extent.